Urban Legends: Final Cut was a poorly made horror sequel to a movie that wasn’t all that good, though at least in that case I appreciate the passion behind it, this one seemed to be cooked from numerous producers. Plot Synopsis: At Alpine University, one senior student will be awarded the prestigious Hitchcock Award for best thesis film, virtually guaranteeing the winner a film career in Hollywood. Amy (JENNIFER MORRISON), Travis and Graham are student filmmakers who would love to make it big in Hollywood. But first they’ve got to survive their last semester at Alpine, a renowned film school where the competition is killer — and someone is killing the competition. 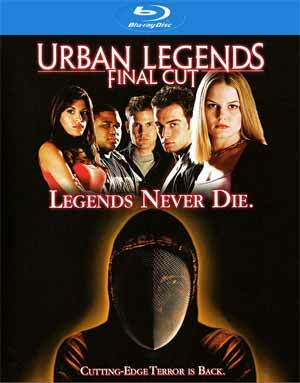 Quick Hit Review: Wasn’t a fan of the first Urban Legend movies and yet somehow they managed to out due themselves with Urban Legends: Final Cut, making an even worse movie that actually had more violence (including a beheading) but a really lame motive for the killer. Ironically enough, the first movie had the killer donning a parka despite not having any snow… while this film actually has snow and the killer disguises themselves with… a fencing mask?!?! Alright. This entry has pretty much a new crew with composer John Ottman making his directorial debut in his one and only feature film (no surprise there) and a new cast, outside of Loretta Devine reprising her role as a security guard, now for a new college meaning her character is perhaps both the worst and unluckiest guard since Paul Blart… Jennifer Morrison of House and Once Upon a Time fame is decent enough as the lead this time around and this marked Eva Mendes third feature and even back then, you could see she had the charisma to land bigger roles. Matthew Davis, from The Vampire Diaries, fills in the male lead well enough, as one of the many suspects of being the fence-mask killer. Interestingly enough, Urban Legends: Final Cut was only released a few months following Scream 3 which itself went down the meta horror realm, both movies about the movie-making business. I guess I found a tiny amount of more respect for Scream 3, compared to this it’s a competently made horror film. I might not have liked the first movie, but there was something more organic while Final Cut seemed to come out of the studio blender and we’re left with just a forgettable and poorly made film. Also, Scott Derickson, who would later go onto write and direct Sinister and Doctor Strange served as one of the two screenwriters; goes to show one can stumble early in their career and more than capably recover (Final Cut was his first film). 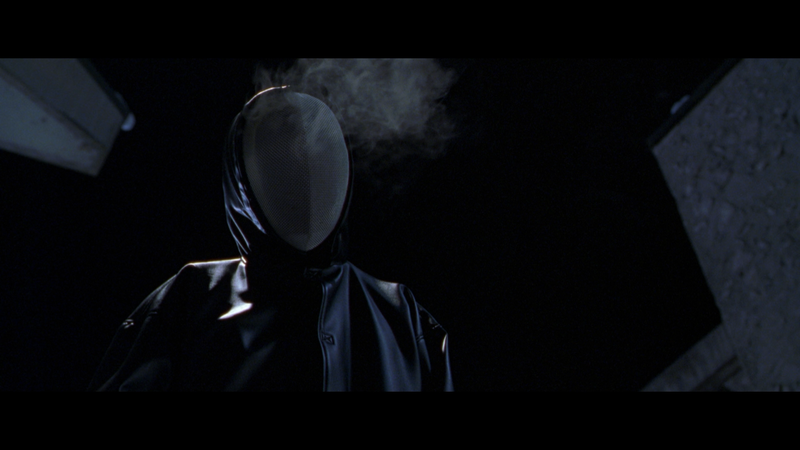 In the end, Urban Legends: Final Cut was a misguided sequel that seems even fans of the original could not get behind. Audio Commentary – Director John Ottman provides an informative track in this older commentary and he seems to be amiable enough. Probably could’ve used someone else in the room to keep the conversation going. 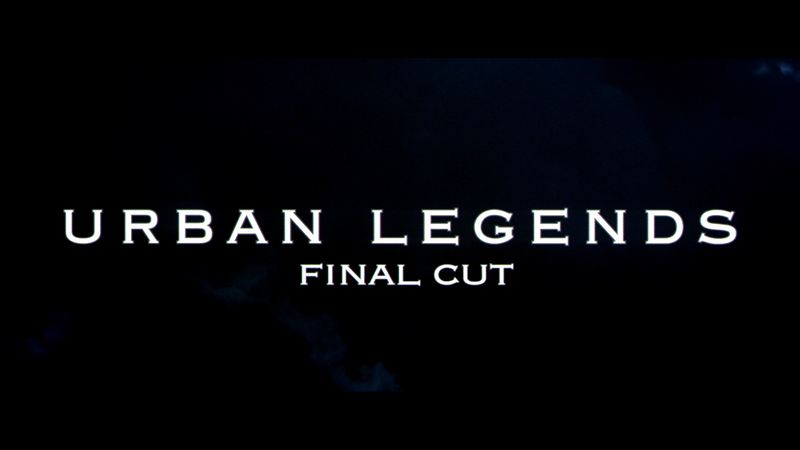 The Legend Continues: Urban Legends: Final Cut (17:04) is a collection of new interviews with Producer Gina Matthews, Actors Loretta Devine and Rebecca Gayheart, and others in the crew (studio head, the first film’s screenwriter, etc). Pretty good and somewhat honest in the film’s shortcomings. Interview with Jessica Cauffiel (16:41) – This new interview with the actress who played Sandra discusses her career and how she came to the role. Deleted Scenes (8:39) – There are a handful of scenes that didn’t make it into the final cut (no pun intended). Included is an optional commentary with Ottman. Making of (3:35) is an older promotional featurette. Last items is a Gag Reel (4:59) and the Theatrical Trailer (2:23). Shout Factory releases Urban Legends: Final Cut onto Blu-ray where, since it doesn’t say otherwise, like did not get some sort of restoration. Still, the picture looks fine with good detail throughout and I really didn’t notice any apparent instances of dust marks or scratches, though I assume if one were to go frame by frame might find some minor flaws. Colors are on the drab side but the bulk of the film seems to take place at night in an unsuccessful attempt to make the killer scarier. The movie comes with a low key DTS-HD Master Audio 5.1 track and although the dialogue comes through fine, the other elements, such as when the killer attacks, were a bit too soft at times. Otherwise, it’s functional but nothing remarkable. Overall, Urban Legends: Final Cut was a poorly made horror sequel to a movie that wasn’t all that good, though at least in that case I appreciate the passion behind it, this one seemed to be cooked from numerous producers, and worse yet, another horror sequel, Scream 3, did it better, for whatever that’s worth. This Blu-ray release offers fine video and so-so audio with an all right set of bonus material.